LOCATION This attractive period property is located on the ever popular west side of Horsham, only a short distance from Horsham town centre, main line station with easy links to London and the fantastic Horsham park with Pavilion Leisure Centre. Horsham’s busy town centre boasts a host of independent and national retailers, as well as a John Lewis At Home store and large Waitrose. This attractive location means this terraced house is within walking distance of Greenway Academy, Trafalgar Community Infant School, and Tanbridge House Secondary School. PROPERTY The front door opens into a Hall, which has stairs leading to the First Floor and a door opening to the Dining Room. This bright room is open plan to the Living Room, creating a large double aspect living area with plenty of space to entertain. The Kitchen is fitted with a range of floor and wall mounted units and leads through to a small inner Hall with doors opening to the Garden, WC and Bathroom. Neighbouring properties have moved the Bathroom upstairs, which would then allow you to create a larger Kitchen with doors opening to the Garden (stpp). To the First Floor you will find three generous Bedrooms, with the largest stretching the width of the property, measuring 15’5 x 11’0. 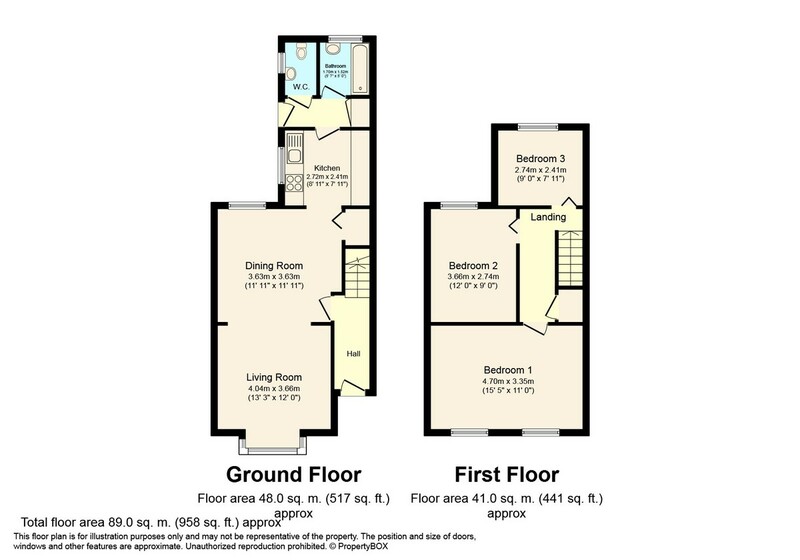 There is excellent potential to convert the loft (stpp) in to a further Bedroom, like many of the neighbouring houses. OUTSIDE This attractive Period property is set back from the road behind a walled front garden, which has a path leading to the front door, and gate opening to the Rear Garden. The South facing Rear Garden has been lovingly landscaped over the years with mature, well kept borders winding around an area of lawn, that is edged by a water feature. There is also a paved patio, perfect for barbecues in the summer months and a shed offering additional storage.